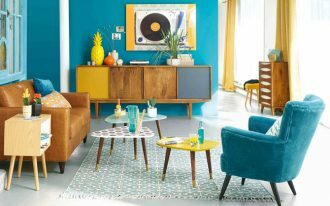 Walls can change how the room looks dramatically by applying some colorful paintings or patterned wallpaper. 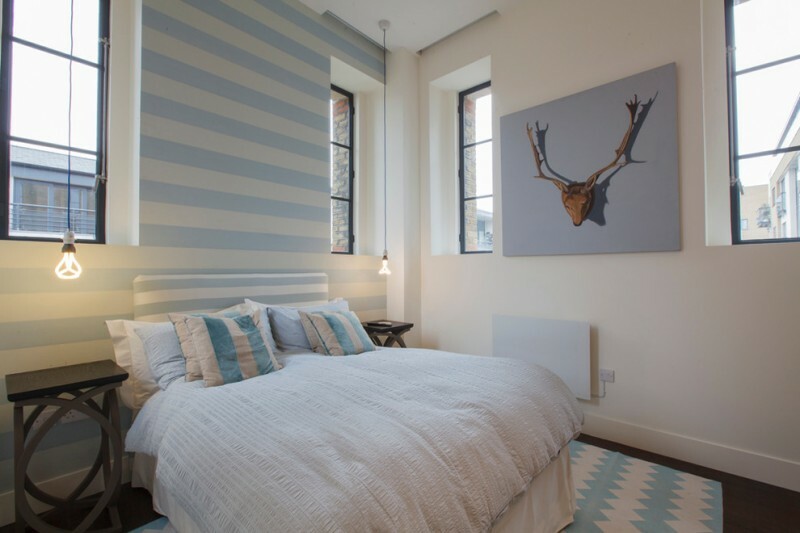 Stripes are a great decorative technique for the room walls. 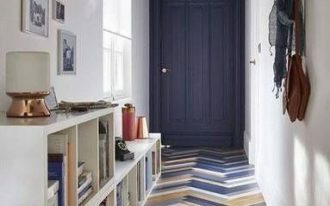 Stripes are minimalist patterns and easy to create. 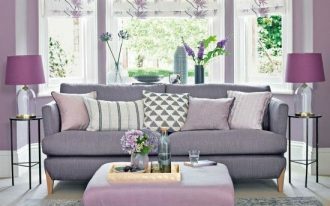 The horizontal stripes will make a room appear more spacious while the vertical ones make the ceiling look higher. You can do some stripe painting or look for stripes wallpaper for an easy application. It will be fun to choose the right colors stripes to paint the room walls. 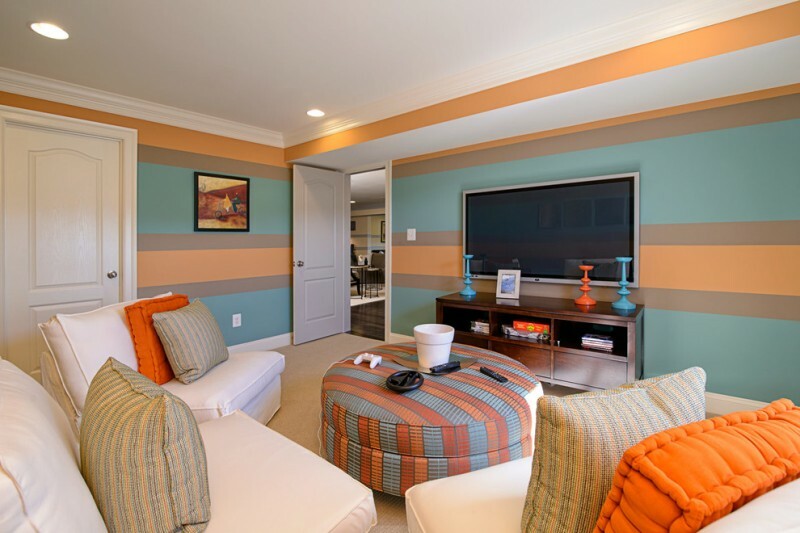 Here are some great striped wall painting ideas that will inspire you to paint the interior wall creatively. 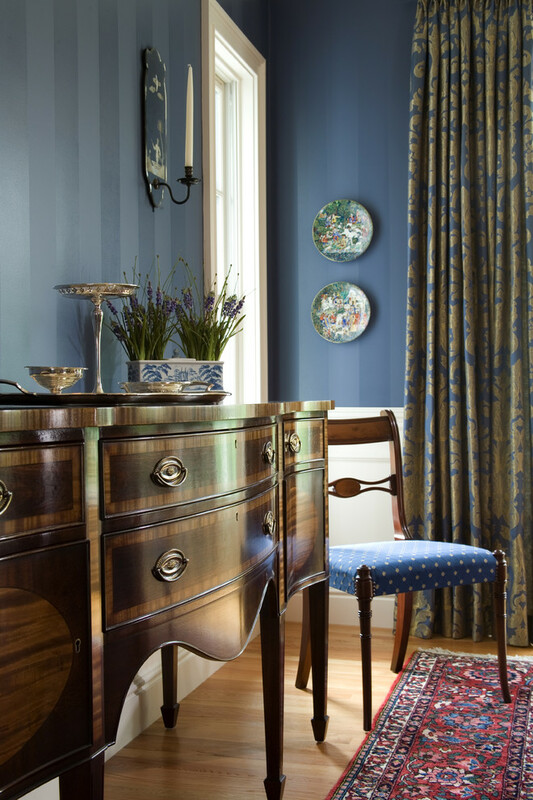 This room has hand painted stripe glazed walls in blue color. The blue color also appears in the chair cushion, the Mediterranean rug, the curtains, art plates, the wall sconce, and the porcelain flower pot. 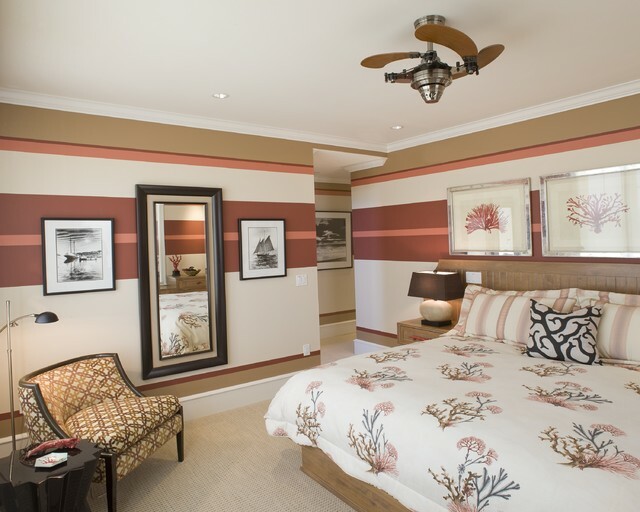 The striped wall painting in this bedroom also has the same color as the bedroom features. The use of the same brown color of the wall, headboard, curtains, and armchair increase the calming mood in this bedroom. For a nursery room, you can also paint the walls with calming colors. The striped wall painting is a great option to grow with your child. 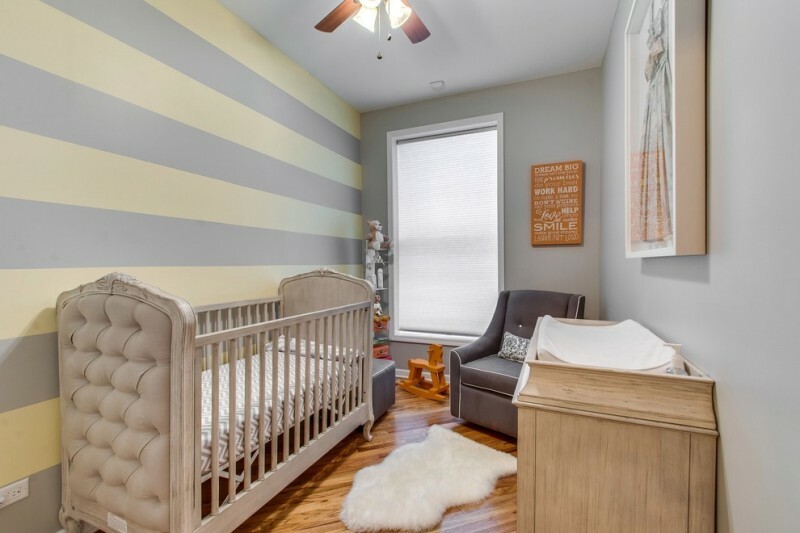 The soft pastel stripes in this nursery room make the room look longer. 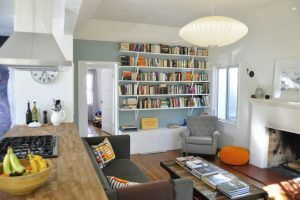 Everyone’s eyes will move from the walls to the ottoman because of the repeated use of stripes in the same colors. 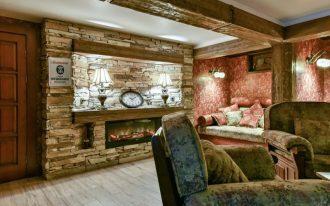 This is a simple way to make a family room look cozy. 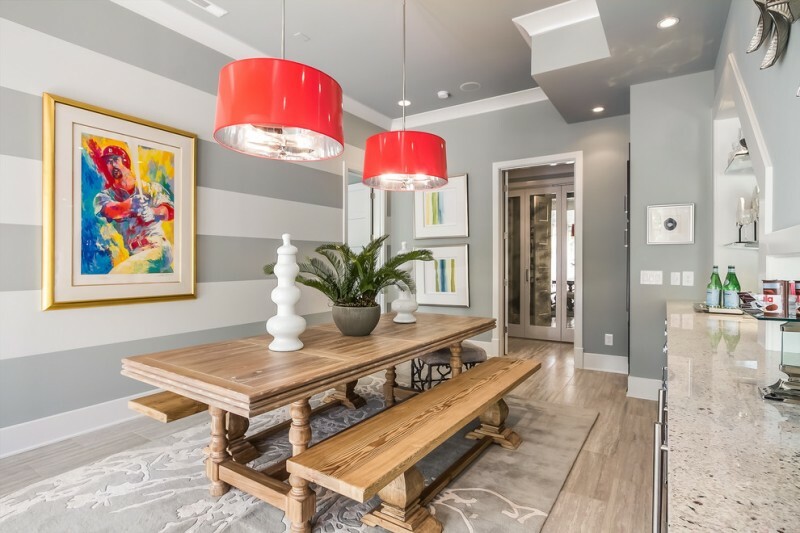 The striped wall painting is designed to only one side of the dining room walls to make the room seems wider. 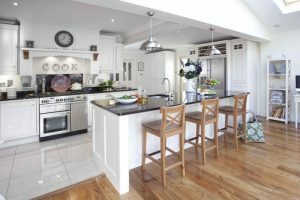 The grey and white walls combination is a good choice if you want to make the dining room features and decoration stand out more. 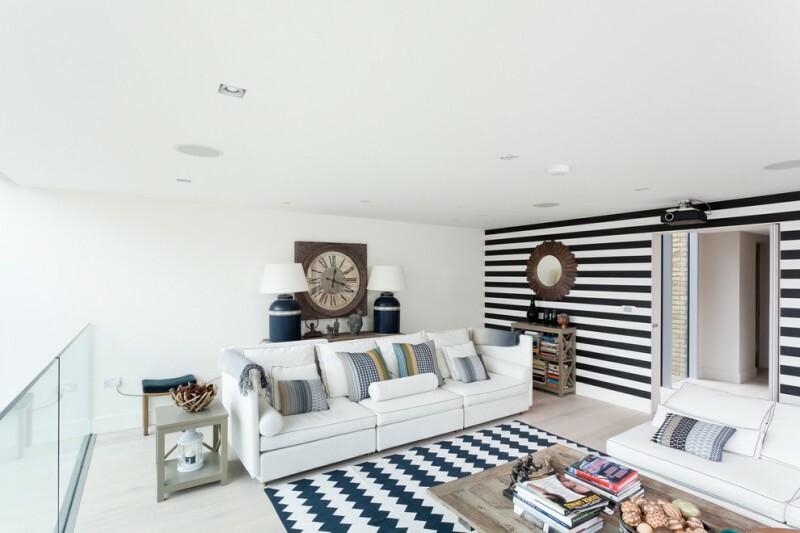 The black and white striped wall avoids the boredom of the plain white walls, ceiling, and the furniture pieces. 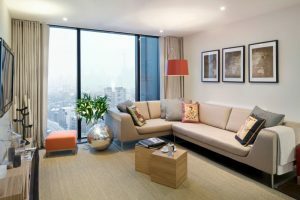 The colorful striped throw pillows and the area rug also gives a cool pattern to this white room. This bedroom offers a good example of the horizontal line because it’s going across the walls. 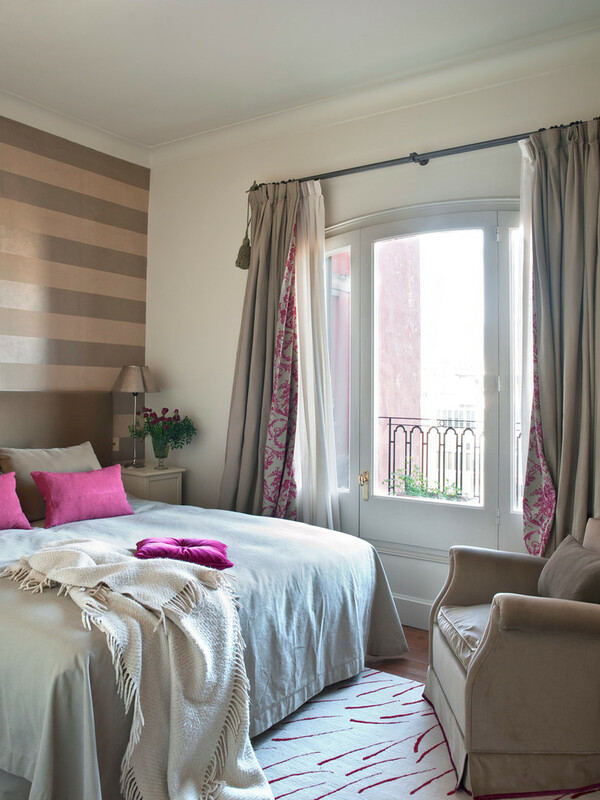 The horizontal stripes painted on the walls make the ceiling seem lower and the room wider. When you are confused about choosing colors of the stripes wall painting that will suit your bedroom, just make the stripes like the headboard. It will be a really nice accent wall that blends with the headboard. This cozy living room features a dark grey sofa, a wooden coffee table, two traditional chairs, area rug, and a wall sconce. 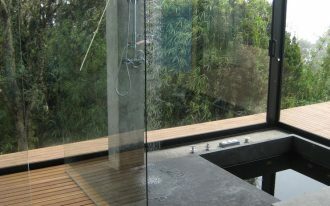 Some frames are placed on the striped wall. Liven up a plain boxy dining room with brown stripes painting. 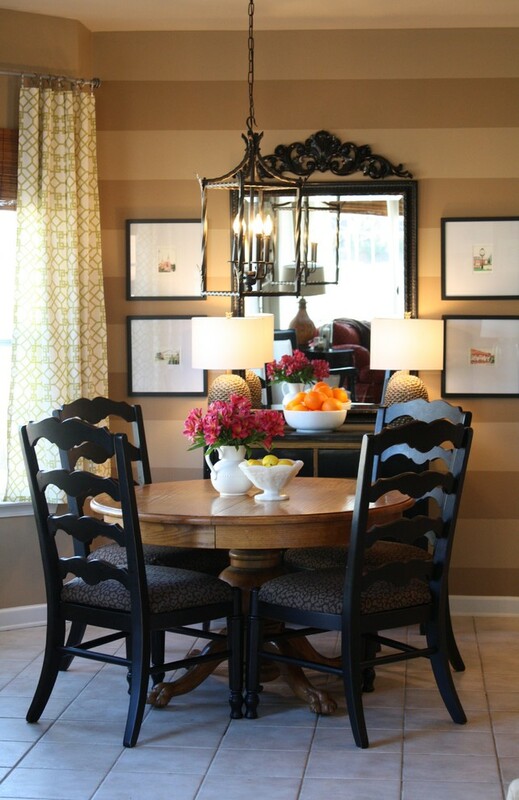 The two-tone hues of brown can create an architectural interest in a bland dining room.